Water bottles are great with storing all those hydrating liquids our bodies need and everybody seems to make different designs and curves just so we won't get bored with 'em. 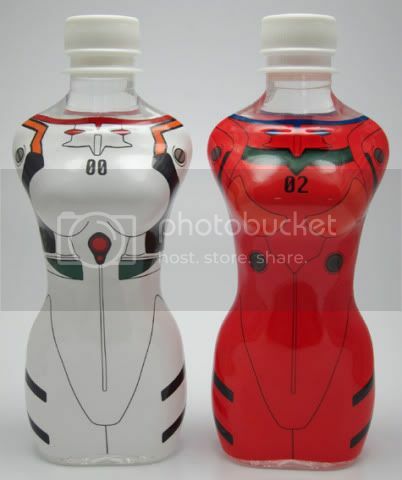 Now somebody seems to have heard all the anime geeks who have been asking for more familiar curves on their water bottles namely Asuka Langley Soryu and Rei Ayanami of Evangelion. These water bottles that were previously displayed at Japan's Foodex 2010 Show will not only quench your thirst for hydrating liquids but also quench that anime thirst. Expect these bottles to be available around may 26, 2010 and would probably be around 368JPY or around 200PHP. 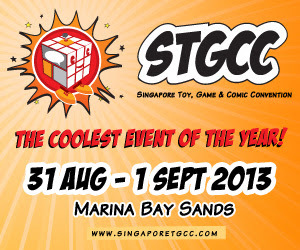 But I'm sure some local manufacturer would already make "unlicensed" versions of these by the time it becomes available. Oh and yeah, it holds around 280ml of liquid if you're concerned about capacity which I'm sure you really wouldn't care about.